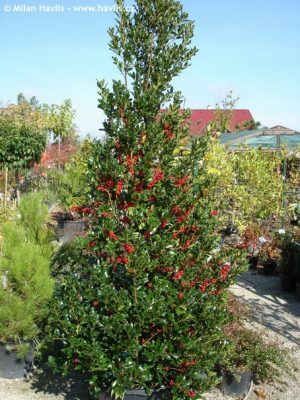 Holly adding mid-winter colour and structure to the garden. the winter garden. 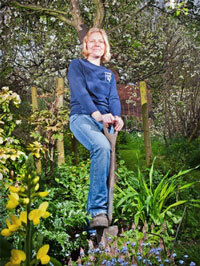 Here are some variates that are well worth a spot in your garden. 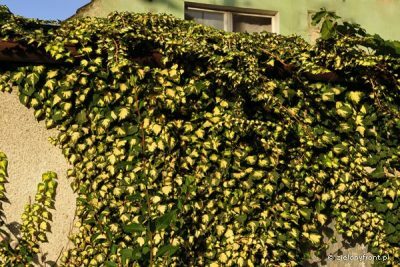 Hedra canariensis dentata ‘Varigata’: A vigorous large ivy that commands a large spot. 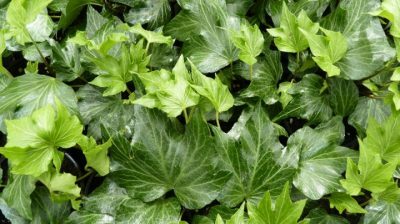 Large hand sized leaves a dark mat green, with silvery and cream edges. 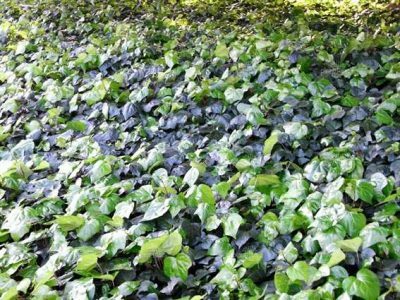 It not only looks striking grown on a large wall, it also makes excellent ground cover forming mounds, and grows well in dry shade. Hedra helix ‘Green Ripple’: A delicate ivy, with small mid green foliage, with rippled edges and deep lobs. Good on small walls. 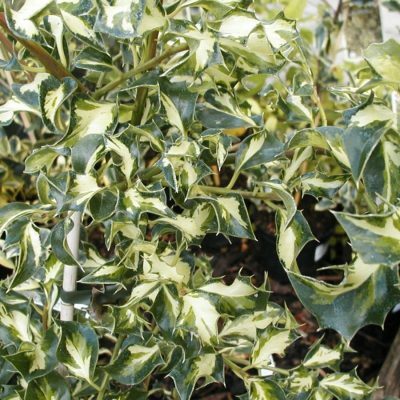 Hedra helix ‘Gold Heart’: A striking ivy, non vigorous, pink stems hold small neat dark green leaves with a bright yellow splash of colour in the centre. 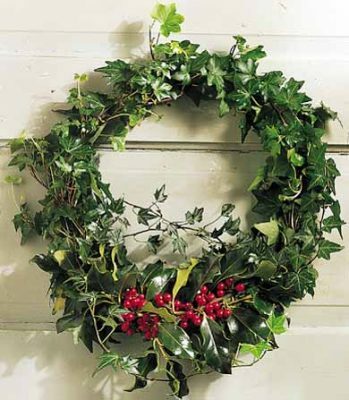 Ideal for a low fence or small wall. 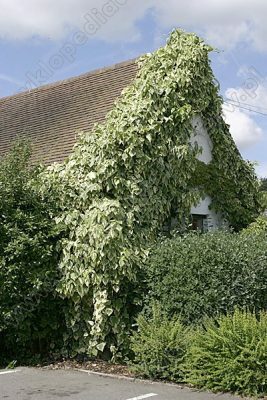 Both Hollys and Ivies are low maintenance plants that thrive in semi-shade and in both cases will cope with some dry conditions, they will grow well in most soils but do not like water logging. 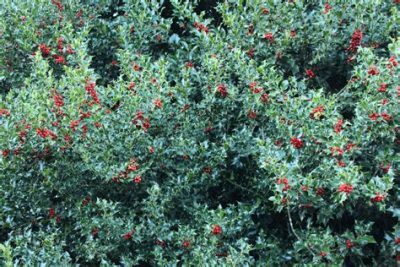 Although holly has the dramatic berries the flowers/fruits of the ivy should not be missed, arriving mid autumn onwards and flowering in the winter months,it is a bonus to many insects. 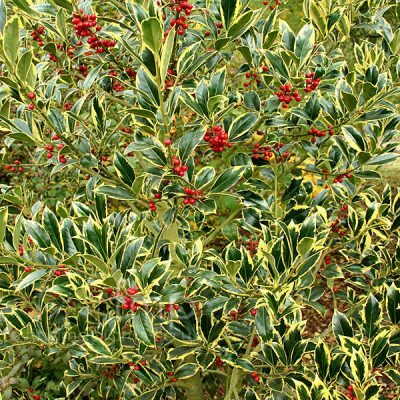 Of Course with Christmas not far off, holly will be brought into the home for festive decorations, Ivy can look equally good, either in it’s natural form or spayed silver or gold. These two plants are often under used in the garden, which is a great shame as they have so much to offer, both as a back drop for other ‘showier’ plants and very much in their own right. I sincerely hope that will change. This entry was posted in Gardening Thoughts, Gardening Tips on December 3, 2018 by Emily.